Here's an interesting coincidence, countries that donated to the Clinton Foundation "just happened" to get approvals for a bigger cache of weapons from the Hillary Clinton-run Department than the countries that didn't donate. And the real interesting part about this revelation was it was discovered and published by the ultra-liberal Salon. The Secretary of State is in charge of “the continuous supervision and general direction of sales” of arms, military hardware and services to foreign countries. In practice, that meant that Clinton was charged with rejecting or approving weapons deals — and when it came to Clinton Foundation donors, Hillary Clinton’s State Department did a whole lot of approving." So if your govt. happened to give money to the Clinton foundation you would be able to increase your weapons purchase by 79% more than if you didn't donate (143/80). When Bubba Clinton was president he signed an executive order that is still in place, the State Dept. must take into account a country's human rights record in its arms deals decisions. But when approving arms deals to Clinton Foundation donor countries Hillary would ignore that rule. Of course it's probably all just a coincidence, just like everything in Peter Schweizer's book is a coincidence. 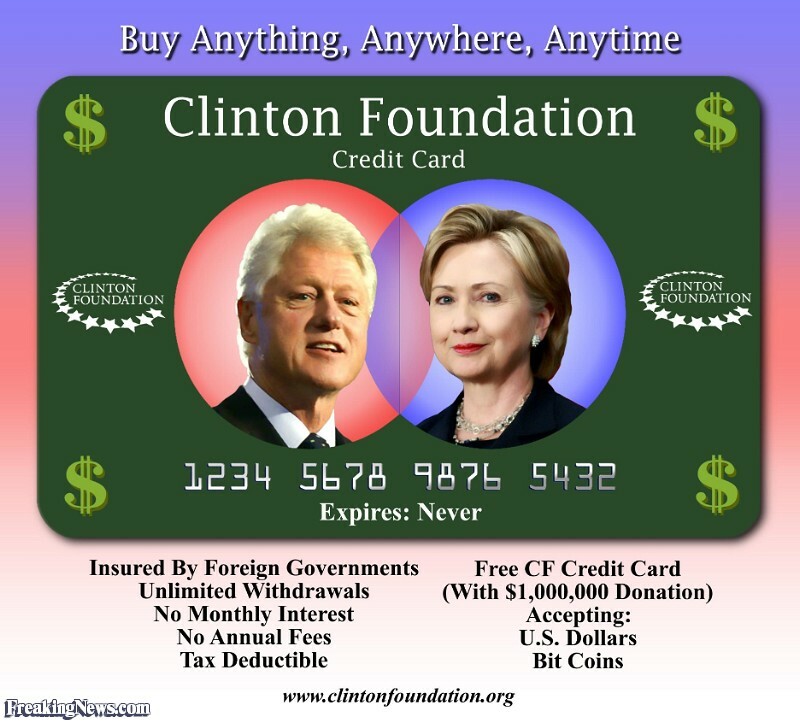 I mean these are the Clintons... and they are so honest (depending what is, is).